Just months ago, Mara Dyer’s life was normal. She had a best friend and had finally caught the eye of the boy she’d been drooling over. But all it took was one night to bring all the pieces of her life crashing down around her. Now she wakes in a hospital, unable to remember the horrific accident that took the lives of both her boyfriend and her lifelong best friend. 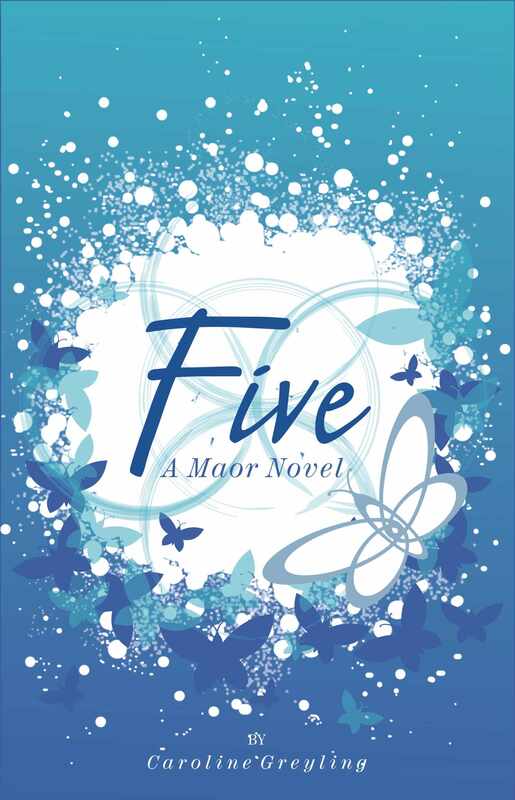 Unable to contemplate a life without her best friend, Mara convinces her family to start anew. The Dyer family moves to a new city and Mara and her brothers start a new school, but Mara soon realizes that the troubles of the past are not so easy to leave behind. Not to mention the new troubles that come with this new life. Not only does she have a heap of school work to catch up on, but she finds it’s not so easy to make friends in this new school with its deeply entrenched social hierarchy. Then Mara meets Noah. He’s at the top of the food chain and has both the good looks and the not so good reputation to match. No matter how much Mara keeps pushing him away, he won’t leave her alone. Then strange things start to happen to Mara and the only person she can turn to becomes the one she’d been trying to avoid. Can Noah save her from herself? Can he help her distinguish between what’s real and what’s not? Or will his own secrets be both their undoing? This novel was a suggestion of one of my Goodreads bookclubs. It’s the kind of novel I love to read with a touch of paranormal in a normal young adult life. 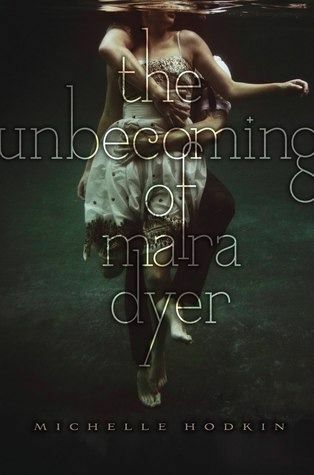 The character of Mara Dyer was highly refreshing. From the start, she’s not your average good girl. She’s crazy – in very real terms and she’s been through the wars. What a wonderful change from the perfect life of most teen heroines. Noah’s character was suitably mysterious and book-boyfriend-worthy. There were a few parts, like the Everglades scene, where I felt Mara’s reactions to him were not completely believable and there were too many unanswered questions surrounding him for me to feel completely satisfied. The plot was well-paced and the overall story quite entertaining although I will say that the storyline with the legal case and Everglades felt a lot like it had been inserted as a last minute theme to setup the end scene’s moral dilemma. In terms of themes and messages, there are a few. Questions are raised about the power of the mind, about trying to start over without facing the demons of the past, and about the moral right to ‘play God’ with the lives of others, regardless of circumstances. 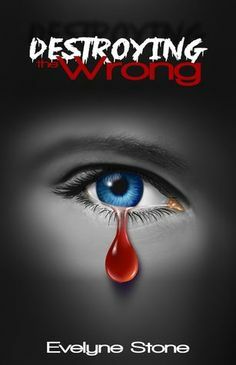 Overall, I enjoyed this novel – and I’m dying to know the outcome of that cliffhanger! On a side note: I purchased an Audible copy of this book and was quite disappointed with the narration. It reminded me of Kindle text to speech. The cover, on the other hand, is one of my favorite ever! The old Lena is dead. Buried beneath a tree in the wilds. The new Lena has been born into the resistance. She knows what it is to be hungry, to be afraid and sick and also to be free. Under the guidance of Raven, Lena has learned to bury her past and the boy she once loved. Raven has taught her to be strong and to survive. Raven has become her sister, her mother, her friend. Then Lena is kidnapped by a violent and radical resistance and held prisoner with the boy who is the face of the DFA youth. Can she save them both or is she destined to have her heart broken yet again? Pandemonium picks up right after Delirium and details Lena’s flight to freedom in the wilds after the devastating ending of the first novel. Ms Oliver has used a very difficult technique in this novel by running two concurrent time frames throughout. I don’t think I’ve ever read a novel that mastered this as successfully as she has managed to do here. Each scene from ‘then’ is expertly matched and timed with the ‘now’, delivering insight and understanding as and when the story unfolds. The suspense is superb. Like a roller coaster, Ms Oliver has written in the ebbs and flows, hi’s and lows to perch you on the edge of your seat. The character development takes the series to another level entirely. Lena’s sorrow can be felt bone-deep and her healing is something the reader is forced to journey through with every experience. The introduction of Julian’s character was a wonderful twist in the series. To me, he is so much more three dimensional than Alex ever was. The whole theme of second chances is healing and endearing too. 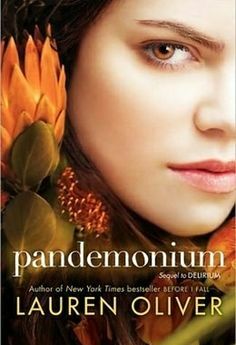 But I think the thing that strikes me most about Pandemonium and will have me raving about it to all my friends, is Lauren Oliver’s writing. Her writing – oh wow! Such emotive, lyrical, descriptive, poetic prose. She is the kind of author you preorder books for, no matter the topic because you just know that she’ll transport you completely into another world with her words. If you liked the Hunger games or any of Maggie Stiefvater’s books, you will simply love this series! Dream on and make it big! So many blogs and interviews ask the same question of us writers. When did you know you wanted to become a writer? How did you become a writer? Do you have any advice for aspiring writers. Here’s a bit of inspiration from my own story. One memory of my early teen years stands out vividly. My best friend, Bronwyn and I would sit on the school quad or lean against one of the class walls during break. Sometimes my twin sister and our little group of close friends would join us and we would just sit, munching on peanut butter sandwiches and dreaming of the future. Thankfully, I was blessed with wonderful parents who proved supportive of my aspirations. I don’t think they will ever fully understand the influential role they have played, and continue to play in my life. It’s something I’ve only come to understand myself in adulthood and now that I have children of my own. I only hope that I can give my children the same gift. From early on, my father encouraged me to keep a ‘dream chart’. My first chart was a piece of white project cardboard with a bunch of pictures and cut out phrases from magazines. Each picture represented something I wanted to achieve in life. A cheque with my name on it, a graduation gown, and even an arbitrary item of clothing or two amongst others. My chart was press-sticked to a wall in my bedroom, where I would see it every day. Some days I stopped to look at it, other days I didn’t but always it was there, in the back of my subconscious mind. It wasn’t long before I’d ticked off every item on my chart and started on a new one. I remember one day, that I decided it was time to get my own vehicle. I grabbed the nearest magazine and cut out the first picture I found of a car, without much thought to specifications. It just happened to be a white VW Chicco. I never imagined that the universe would be so specific in granting my wish. Lo and behold, my first car was a white VW Chicco. Since then, I’ve become more selective about the pictures and words I put on my dream chart. There have been many dream charts on the walls of the few houses I’ve lived in so far and even as I write this, I’m preparing for a new one. So many of the pictures I put up seemed so unattainable then, and yet they are ticked. Perhaps my only problem is not dreaming big enough. So as I put up my new chart with book no 2 and 3 of the Maor series on, I want to challenge and invite every one of you to make a start on your own dream chart. 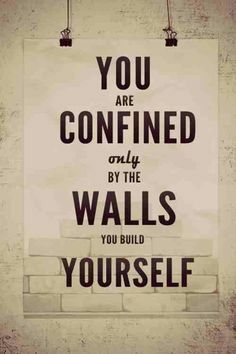 Stop making excuses and take the plunge. Put it out there, dream big and you’ll be amazed at the universe’s response!